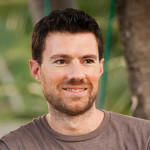 He bootstrapped and built WooThemes into a multi-million dollar WordPress business. Now he’s stepping back from that to start something completely new, from the ground up. Adii Pienaar joins me today to talk about his new venture, PublicBeta, and how he’s going about things a bit differently this time around. What’s challenging Adii today and what he’s doing to work through it. 1. Adii stressed the importance of focusing primarily on one business at a time. He described how in the past he tried leading 2 companies simultaneously and it resulted in what he calls a failure. But now, with PublicBeta, he has stepped back from his role leading WooThemes to focus almost exclusively on PublicBeta. 2. Another takeaway was how Adii is hiring and putting a team in place right from the start. He isn’t making the business and operations completely reliant on his own time and expertise. Figuring out how to best allocate your resources and put talented people in place is a very important lesson here. 3. And finally, Adii leveraged his personal network of friends and fellow successful entrepreneurs to help him add value to his new startup. I’m sure that people like Hiten Shah, Spencer Fry, Nathan Barry and others wouldn’t be so generous with their time if they didn’t personally know and respect Adii. That’s a testiment to Adii’s friendly personality and ability to maintain relationships online and off. Very important in this journey as we build and bootstrap businesses. PublicBeta – Adii’s latest venture, where he will release his book, Brandiing. 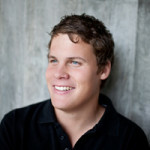 Nathan Barry has quite the portfolio of products: 2 iOS Apps, a new SaaS app, and 3 self-published books. He has also built up quite an audience through putting out highly educational and valuable content on his blog. But I wanted to learn how his very first book did so well before he built up the large audience that he has today. That’s the focus of my interview with Nathan (though we covered a lot of ground). In just two months, Nathan went from having a blog with no traffic and a Twitter following of less than 500, to the release of his first book selling over $12,000 on day 1! 1. What really stood out to me was when he talked about the lead up to the launch of his first book. All it took was just a few high quality tutorials on his own blog, which linked to his landing page for the book, and that was how he built a pre-launch mailing list that helped him do over $10,000 in sales on the first day. He didn’t have a massive audience at the time, but the launch was still a huge success. And that one is really making me re-think my strategy for the next few weeks as I’m starting to get the ball rolling on writing my first book. My plan was to do as many guest articles on other blogs as I can over the next 6 months. But I think I’m going to pull back on the guest articles a bit, and focus more on publishing really great content here on my blog at casjam.com. I’m also going to do more video posts as well. I think that will add more value the guest articles will, so we’ll see how that goes. 2. He realized he must build trust and credibility with his audience first before he can expect sales. His themes company sold only $140 in revenue vs his first book at $10,000+ on the first day. The difference? He built an audience, built trust and credibility. 3. When asked about which product(s) he wants to focus on most, his answer was he focuses primarily on his audience. That is his highest priority, above all of his other products. What did you learn from this episode? How will you apply some takeaways to your business? Tell us in the comments. As you may know, I’ve been bootstrapping various startups for a several years now. I managed to build them to a point that allowed me to transition out of consulting to focus solely on products. But the path to get here certainly wasn’t smooth sailing. I made mistakes. Lots of mistakes, actually. In fact I’m still making mistakes today. The key is to never make the same mistake twice. And that, my friends, is what led me to create this report. It contains the stories of ten big mistakes I made during the first year my startups, and the lessons I took away from them. My hope is this will help you avoid some of the same pitfalls and get to where you want to be a little faster. I have included the first 3 (of 10) mistakes & lessons below. If you’d like to read all ten, sign up for my newsletter below and I’ll send you the full report (PDF). Enter your email below to join my newsletter and I’ll send you this free report today. Sure I hope these lessons that I learned the hard way while bootstrapping my startups will help you avoid some of the same pitfalls. But more importantly, I hope you will give some serious thought about the path that you’re currently on. What are the mistakes that you’re making right now? And if your answer is you’re not making any mistakes, well, that right there is a mistake in itself. You should be mistakes. Because that’s what learning by doing is all about: Making mistakes, then soaking in a valuable lesson. So I hope that more than anything, this report will help you or inspire you to take a hard look at your business. Look back on the previous months and years, and pinpoint a few things you could have done differently. Why did you choose these things? Specifically what did you do wrong? How will you correct them next time around? I believe in being critical of yourself and having an open mind about that. That’s the best way to get better and step up your game. As I started building my SaaS business, I knew the majority of the investment would be in the form of my own time (or overtime, if you will). But I also set aside $5,000 of my own cash to invest into getting the business off the ground. That $5,000 quickly grew closer to $8,000, and that was before I had any paying customers! But my mistake wasn’t the amount of personal cash investment I made. It was how I allocated those funds. I failed to recognize which things I was really good at, and which things I was mediocre (read: a “hack”). If you ask me which skill comes most naturally to me, it would be design. Yet, I chose to hire designers to mockup the first version of my site and my logo. Meanwhile, I spent most of my time tangled in code. I can code enough to get by, But I don’t do it particularly well, and certainly not very fast. In other words, I could spend a week figuring out how to code something that a seasoned developer can whip up in just an hour. I failed to distinguish between a mere ability (coding) and my true strength (design). On top of that, the designer in me ended up re-doing all of the design work I that I had spent my $8,000 on! Looking back, that cash would have been much better spent on accellerating the development work, while I focused my time doing the design work. I also would have liked to set aside more cash to put towards early (paid) marketing campaigns, but since I burned through it so quickly in the beginning, that wasn’t an option. During the first year of my products business, I made the mistake of loading up my plate with any and all tasks that flew my way. I would jump from task to task haphazardly with no consideration of setting an order of priorities. When a customer emails with an “urgent” request, I got right on it. When I came up with a “really cool” idea for a new feature, I dropped everything to start building it. When I listened to an inspiring course on Mixergy, I’d completely change my whole marketing strategy on a whim. I was doing a lot of things and staying very busy. But I wasn’t making clear progress towards a defined goal. It felt like I was running in place. I finally realized this mistake and built a system around how I choose which things to tackle and when. I make a point on the 1st of every month to list out the 3 or 4 “big things” I plan to accomplish in the next 30 days, then I set my weekly and daily to-do lists according to that plan. I even started making 6-month plans, listing out even bigger things I plan to accomplish in the next half year. As a bootstrapper, I’m very much of the “do-it-yourself” mindset. Or better put, the “figure-it-out-myself” mindset. But that can only get you so far, and in fact, can often lead you down the wrong path. Sure, there are lots of resources available online, such as blogs, courses, ebooks, and so on, which provide a healthy dose of education. You can also learn a lot from getting your hands dirty and tackling things yourself (or as I call it, “Learning by Doing”). But there is one more resource, which is even more valuable than all of those: Learning from the experience of others. After a year of trying to do (and learn) everything all by myself, I finally started making a point to personally reaching out to folks who are doing similar things to what I’m doing and asking to pick their brains. I would ask specific questions and find out what they learned from trying things out. I also joined a weekly mastermind group with 5 other online SaaS business owners, where we support and advise eachother about our challenges in our business. Building a support network of talented, experienced, smart, and helpful entreneurs has helped me work through some difficult challenges and helped me find clarify much quicker than when I tried to work through them all by myself. Today I’m going to talk about how I completed the transition from client work to product work. I’ll talk specifically about 5 things that helped me make this mission a reality. Between early 2008, when I left my job working at a web design agency to go freelance, up until 2012, my income primarily came through doing client work, specifically client web design projects. Over those years I went from charging an average of $1,000 dollars per project to an average closer to $15k or $20k per project at the height of my consulting business. I made a decent living doing 10 to 20 big client projects per year. 2011 probably marked my highest annual income to date. But 2011 was also the year that I began really thinking about making a transition. I found that my stress level was increasing with every new client project I took on. I found that I really didn’t enjoy working on client projects, even the big-budget ones. In fact, many times the larger-budget clients were the hardest to deal with. So I began re-thinking the way I made my living. I had already dabbled in building products on the side. I had started a WordPress themes business called ThemeJam in 2010. I also released a niche WordPress product called WP Bids, which is a WordPress theme for creating client proposals. But those were very much side-projects, which amounted to about 10% of my income. The other 90% was still very much client work. In mid to late 2011, I started planning and building Restaurant Engine, which would turn be my first successful launch of a SaaS business. It wasn’t my first attempt though… I had started a few other things which never got off the ground. But anyway – I managed to launch Restaurant Engine to paying customers in early 2012. Like everything I do, it’s a bootstrapped startup, so it had slow and gradual growth throughout 2012 and through today. So I slowly built up Restaurant Engine until it got to a point where the income from that can replace my client income. In January 2013, I completed my final client project and have been focusing on Restaurant Engine and other products full time ever since. I have to say, that day when I received the final check from that final client project felt absolutely amazing. It was an event that I built up in my mind for a very long time that I had finally achieved. From this day forward, I can officially say “I don’t do client work anymore” and man, that feels great. I gave it some thought today, and boiled it down to 5 key things that helped make this transition a reality. 1. I set a very clear goal with a deadline. I had been poking around trying to do something with products in 2010 and 2011, but it wasn’t until 2012 when I really made the concious effort to dedicate that year to making the transition. I started telling people that my goal is to stop doing client work by the end of 2012. I started out the year of 2012 with the expectation to earn less than I did the year before. I knew this would be a transition year. That change in mindset really helped me focus on that goal every single day. It’s about having a very clear vision for your long-game, by giving yourself a one-year plan. Then use that long-game to dictact all of your decisions in the short-game. What should I work on this month? What should I work on this week? What’s on my plate today? During 2012, as I asked myself these questions, I never forgot about my #1 goal for this year — making the transition. Quitting client work is not the same as quitting cigerretes. You can’t quit client work cold-turkey. If had I decided to stop all client work on the day I launched Restaurant Engine, I would have run out of money very quickly. Then I’d probably go into debt, and then come crawling back to doing client work to dig myself out. That would have discouraged me and probably would have kept me locked into client work for many years to come. Instead, I made it a very gradual and closely monitored transition. At the height of my consulting business, I took on about 5-6 client projects simultaneously. As I started working on building Restaurant Engine, I reduced this to 3 client projects at a time. As the year of 2012 rolled on, I made the concious decision to take only 1 client project at any given time. That allowed me to basically split my time 50/50 between working on Restaurant Engine and working on a client project. This approach allowed me to keep my bank account afloat – keep paying the bills – while also building up my new SaaS business. Maintaining that cashflow from client work also allowed me to reinvest some of that money into Restaurant Engine, which helped build traction. Again, had I quit client work cold turkey, I would have run out of money very quickly, with nothing to invest into Restaurant Engine. Restaurant Engine was definitely not my first attempt at starting a product business, or even my first attempt starting a SaaS business. I was involved in a few other startups, which for one reason or another fizzled out before they had a chance to launch. There were partnership issues, there were product validation issues, and so on. But I learned a lot from those attempts, and I took those lessons with me into Restaurant Engine. I was very concious of this as I started Restaurant Engine. I knew it wasn’t my first attempt. And I think that made me that much more serious and determined to make this one work. As you know, I’m a very firm believer in learning by doing, and failing early and often. I always expect a few failures before finding something that works. In my mind, I felt I had paid my dues with a few failed attempts, and I was ready for something to work. That mindset helped me really put a strong push behind Restaurant Engine. In 2012 I made significantly less money than I did in 2011. I didn’t struggle, and we were able to stay out of debt. I made just enough to pay the bills. But I definitely took a pay cut, and that was because I committed myself to transitioning my business. I knew going into the year that I’d probably earn less. Most people, especially people my age, I’m 30, expect to make a little bit more every year. A lot of my friends are starting to hit their strides right around now. They’re no longer in that entry-level position at their job. Now they’re starting to make real money. Had I stuck with client work and committed to growing the consultancy, I could probably be making a lot more right now. But it was more important to me that I get out of that business and focus more on products. Today, I’m aiming to match what I made last year, which is just enough to support my lifestyle. Of course I want to earn more in the coming years, but right now my focus is on setting the groundwork to make that happen. My focus is building product businesses that are poised to grow steadily over time. The last thing I’ll mention here is that I was able to leverage certain things from my consulting business to help me build my products business. One of the biggest things I carried over was my network of contractors. Over the years of doing big client projects, I had developed relationships with some really talented designers and developers. It took years for me to work through some flaky freelancers before I found a few who I really liked working with. So when it came time to outsource a few of the pieces of Restaurant Engine, I didn’t have to go through that process again. I knew exactly who I would hire and for which role, and I knew exactly how much that would cost me. Making a bad hire can be devestating, especially when you’re hiring a contractor to deliver a specific part of your product and it doesn’t pan out. Money goes to waste, but more importantly you lose so much time. It’s a huge setback. I was able to avoid that by working people I’ve worked with before, and I knew exactly what to expect. Another asset of course was all of the skills that I myself learned during my years of doing client work, particularly all of the time I invested into becoming an expert on the WordPress platform. I would not have been able to build such a complex system like Restaurant Engine — which is built entirely on WordPress Multisite — had I not spent years prior to that doing countless custom WordPress CMS sites for clients. 1. Set a very clear goal with a specific deadline. For me, I decided early in the year that by the end of 2012, I will no longer do client work — and I won’t go into debt do make that happen. 2. Don’t quit cold-turkey. Make it a gradual and closely monitored transition. 3. Don’t expect to be successful on your first attempt. It takes some trial and error before you can get everything dialed in. 4. Embrace earning less money. I invested in the transformation of my business and that meant taking a pay cut. 5. Leverage assets from consulting for your product business. I leveraged my network of contractors as well as the skillsets I built up during my years of consulting. Most WordPress plugin developers build their business around only a single plugin, or perhaps a handful. But Pippin Williamson, of PippinsPlugins.com, isn’t like most developers. In just a matter of a couple years, Pippin has built up a catalog of over 77 different plugins — which essentially are 77 different products, each with it’s own utility. Not only that — he’s committed to educating other developers through his blog where he releases in-depth tutorials and videos. What I find most interesting about Pippin’s business is his unconvential approach to marketing. It’s unconventional in that, he pretty much doesn’t do it! Listen to the entire episode to get the full story behind a truly impressive commercial WordPress themes business. 1. Pippin provides awesome support no matter which channel it is, even for free plugins. When it comes to support, he sets the bar high and never compromises on that. That’s his reputation and it’s the foundation of his entire business. 2. He built his personal brand through highly educational and relevant tutorials. We see this again and again. Put yourself out there, educate, and build an audience and build your business off this platform. 3. This is my favorite takeaway – Pippin throws lots of ideas at the wall and sees what sticks. This approach seems frowned upon by many in the startup community – the idea that every idea must be validated before being built. This is one of those exceptions to the rule. And I love seeing quote unquote “rules” being broken. Forget the rulebook and trust your gut and see what happens. Just do it. My kinda thinking. Think email is dead when it comes to marketing a digital products or apps? Think again. Brennan Dunn’s entire business — two books, a SaaS app, a master class, and more — is powered by his weekly email newsletter that he sends to more than 6,000 freelancers. In this episode, Brennan shares every aspect of how he leverages his greatest marketing asset — his list. From how he built a list to over 6k in less than 12 months to his autoresponder strategy, how he writes his (amazing) emails, and how he convers subscribers to paying customers. Brian also takes a minute to talk about why the site redesign he’s currently working on is the most enjoyable of his career so far. 1. Brennan shares only genuine, helpful, educational content to his newsletter list. There are no hard sales. No emails where the sole purpose is to present an “offer”. He uses only “soft sells”, which are relevant mentions of his books and products, often placed in the PS line of the email. He builds a real relationship with each of his subscribers, one that is built on trust and providing value, then he provides his products as a logical “next step” for his audience to dive deeper and get more. 2. Readers of Brennan’s newsletters never — ever — are left wondering who Brennan is and why they’re receiving an email from him. They’re reminded at the very top of every email, and given a chance to unsubscribe if they’re no longer interested. This reinforces a relationship of trust and value. 3. He built his list to 6,000 in less than one year! AND sold two books, a master class, and runs a SaaS app during that year! This is truly inspiring and it reminds me that if we stay focused and committed, the results will eventually come, and they might just come a bit sooner than one might think. 4. “Don’t focus on your next 60,000 subscribers, focus on the next 1,000”. We can look in awe of the Ramit Sethi’s of the world and dream of reaching his level, but the reality is we’re much better off focusing on small, slow, incremental progress. Every day, just a couple inches further, a couple more subscribers, a couple more customers. We’ll wake up one year from now miles ahead of where we’re at today. And who knows where we’ll be three or five years from now! What are you doing with your mailing list? Are you letting it sit idle like Brennan initially did with his Planscope list? Or are you touching base with your subscribers every week, as he’s been doing for the past year? Share your approach to your list in the comments. Last week, Inform.ly announced the decision to kill two of it’s three products, effectively letting go two-thirds of their paying subscribers! But it’s actually the right move, for a variety of important reasons. 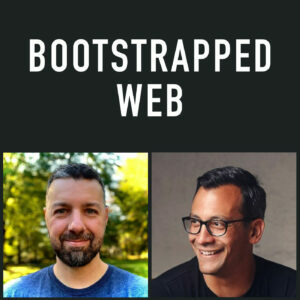 In this episode, I catch up with Dan Norris, the founder of Inform.ly to hear the whole story behind this game-changing decision. We dig into how this decision came about, how he’s rolling out this change, and how he’s charting the course ahead with renewed focus for Inform.ly. What Do The Best Podcasts Get Right? Tell me about one big change or big decision that you made, to change the course of your business during the past year. Share that story comments below and I’ll share them on next week’s show, and be sure to include your website URL so we can see what you do.